Gallery Leather’s Guest Books are made with the same Old World attention to detail as our Journals and designed in an “open format” to encourage expression. Great for use at weddings, parties and a variety of events. 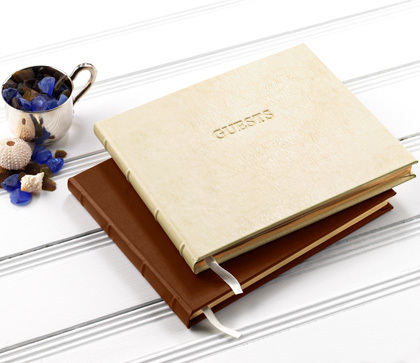 Each guest books features hardbound, warp-resistant covers that are finished with hubbed spines.